CoSchedule is a great content marketing tool that allows you to consolidate your entire marketing strategy into one easy to manage toolset. It’s great for small business who struggling with keeping up with sharing posts with each and every social platform separately. Proactively plan out days, weeks, and months worth of content in advance. 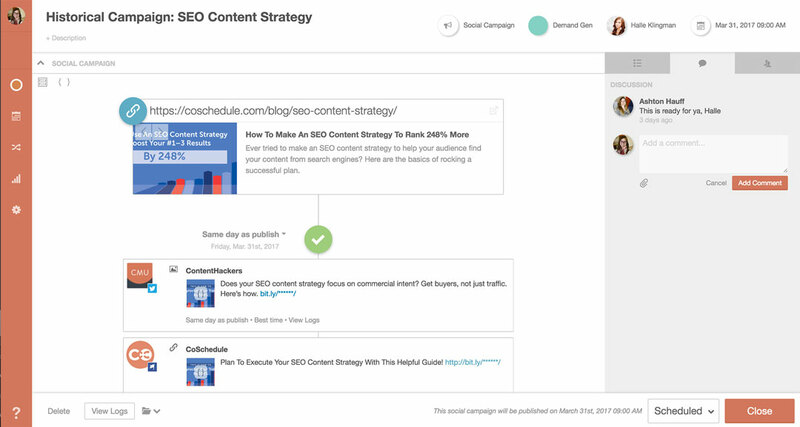 Publish your content + social promotion directly in CoSchedule. Use data-driven intelligence to automatically reshare your best messages (again and again). You can sync all your favorite tools and social platforms into one place, so you can focus on driving traffic to your site (not jumping from one tool to the next). 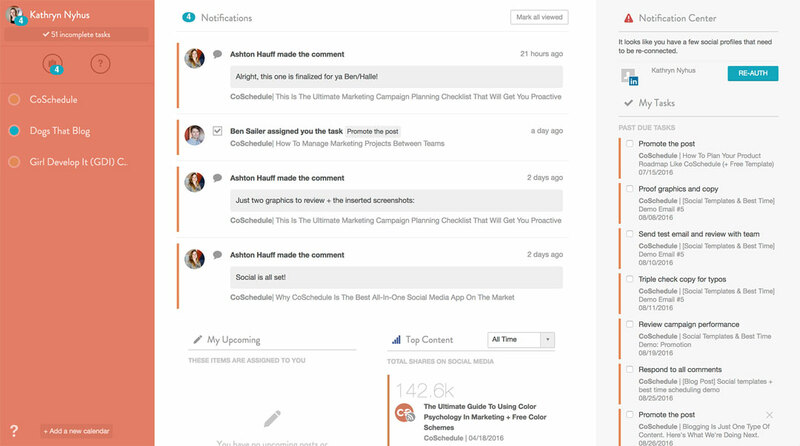 This allows you and your team to save countless hours managing what content is being posted when and gives you a birds-eye view of exactly what’s happening. If it’s so good, how do you use it? Glad you asked. I use CoSchedule to plan not only my own, but my client’s content strategies and collaborate with contractors to make sure articles are being scheduled and completed. Once an article is schedule, we can in a very organised way, write and schedule all the social media posts required for this article. I love how CoSchedule’s Marketing Campaigns tie all activity together - it helps clearly see exactly what activity across all channels is scheduled specific to that campaign. It also has a nifty feature where when on the calendar view, hovering over any blog or social post will highlight all other posts related to that project. Get organised with an all-in-one marketing calendar and start scheduling blog posts, email campaigns and social posts like a boss! I use MailChimp to keep my customers and blog subscribers notified of news and events. You can easily connect your MailChimp account and schedule new campaigns directly for CoSchedule or continue to edit in MailChimp if you’d prefer. CoSchedule also integrates with tools such as Wordpress, Google Analytics, Evernote, Google Docs, and more! Here is a list of all the CoSchedule integrations. OK, this sounds great, but what about price? Well there’s another great thing about CoSchedule, it’s extremely affordable. It has various pricing plans suitable for all, including Individuals, Businesses and Agencies. For most small businesses with one person managing the business’ content strategy an Individual plan at $49 per month ($40 if paid annually) is enough. Plus, it comes with a 14 day, no credit card required free trial, so what have you got to lose? I can’t justify the spend! Well put it this way...add up the amount of time it takes you to schedule all the various email marketing, social and blog posts - then add on all the posts you’re not doing because it takes too long currently - then add that cost up. 9/10 I would presume that number is a lot more than the $49 per month you’d be spending on CoSchedule. 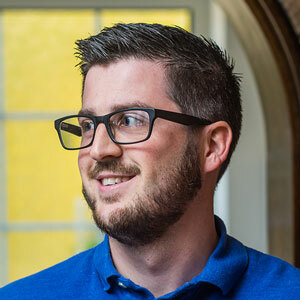 To wrap up: I got started with CoSchedule in under 5 minutes (that includes signing up and connecting all my social profiles) then spent the next 30 minutes scheduling the next 2 weeks worth of blog articles, email campaigns and social posts. Before CoSchedule so much time was spent emailing with contractors, adding Google spreadsheets here and there, asking questions like, “Did I schedule that post or not?” and “What social posts are being scheduled for this article?”. Get rid of the chaos and spend the $49 a month, it will be worth it.